Every one of your photography adventures, including Portugal photography, is a quest to become a better photographer and shoot pictures of the amazing places and wonderful peoples of the world. Similarly, Portugal, a small country, led the European quest to discover the world, which has led to a richly diverse culture that you can capture in your Portugal photography. Lisbon is likely to be the starting point of your Portugal photography adventure. Because of its advantageous location at the mouth of the Tagus River, many cultures have lived and traded here, creating a many-layered heritage that can be found in the Lisbon’s architecture, art, elegant boulevards and historical districts. Lisbon’s Romanesque, Gothic, Manueline, Baroque, Traditional Portuguese, Modern and Post-Modern styles make the city a prime destination for architectural Portugal photos whether you’re an amateur or professional. Make sure your Portugal pictures in Lisbon include a variety of images of Praça do Comércio (Commerce Square) and Rossio Square, the oldest public squares in the city. 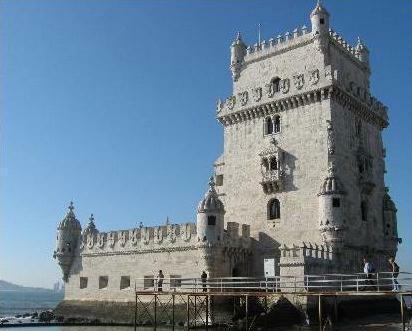 Travel a few miles to the west to the Belém District for Portugal photography of the spectacular Jerónimos Monastery and Belém Tower that are approximately 500 years old. One of the most interesting ways to immerse yourself in the Lisbon and Portuguese culture is to stroll the city’s grand avenues: Avenida da Liberdade, Avenida Fontes Pereira de Melo, Avenida Almirante Reis and Avenida da República. Not only can you snap Portugal photos of the many monuments, fountains, beautiful parks and intimate squares, but also greet the friendly people and include them in your Portugal photography. If you’re visiting Lisbon with your family, then there are also many opportunities for Portugal photography of your family’s adventure. Your children’s discovery of and reactions to the 16,000 animals housed at the Oceanarium, the largest aquarium in Europe, will make for very memorable Portugal photos. Find some rest and relaxation from the busy city along the Costa do Algarve, which is Portugal’s southern seashore on the Atlantic. Your kids can expend some of their energy as you take wonderful Portugal pictures of their play on Praia da Marinha, one of Portugal’s most beautiful beaches. Add to your portfolio of outstanding nature photography when you visit the Algarve. For more than 100 miles, the Costa Vicentina Nature Park preserves a seashore landscape of great beauty. A boat trip through the lagoons, canals and marshes of the Formosa Estuary Nature Reserve will provide ample opportunities to shoot the many migratory birds and other wildlife there for your Portugal photography. Your Portugal photography quest continues in the north in the city of Porto and the Douro River region. Porto is an ancient city and the birthplace of Portugal as a nation. You can take many Portugal pictures of this charming city and its many distinct districts when you follow the signs of any of the self-guided tours. You can give your digital camera a real workout from the deck of a Douro River cruise boat, as you’ll find many panoramic views of Porto. A two-day cruise up the Douro valley is a perfect romantic getaway. You’ll want plenty of Portugal photos of your fun and all you’ll discover. Your ultimate destination is the great port-producing region with its terraced hillsides, wineries and many peaceful and picturesque villages. With so much history, culture and spectacular landscapes packed into one small country, your Portugal photography quest can lead you to many discoveries that you can claim as your own when preserved in Portugal photos.